A Bathing Ape continues its onslaught on home and office furnishings with the release of its BAPE WALL CLOCK. 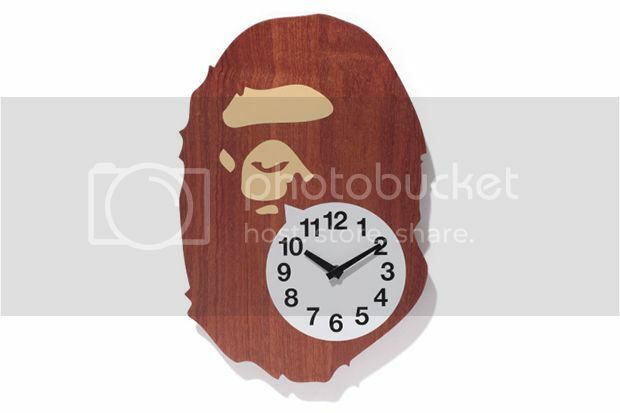 Measuring about a foot tall and eight inches wide, the wood-finished clock takes the shape of the brand’s iconic APE silhouette and features a small speech bubble that tells the current time. The BAPE WALL CLOCK will be available at select retailers for ¥18,900 JPY (approximately $189 USD).